Is spider silk ready to reach the mainstream? Maybe. Sportswear company Adidas seem to be looking in that direction, anyway. 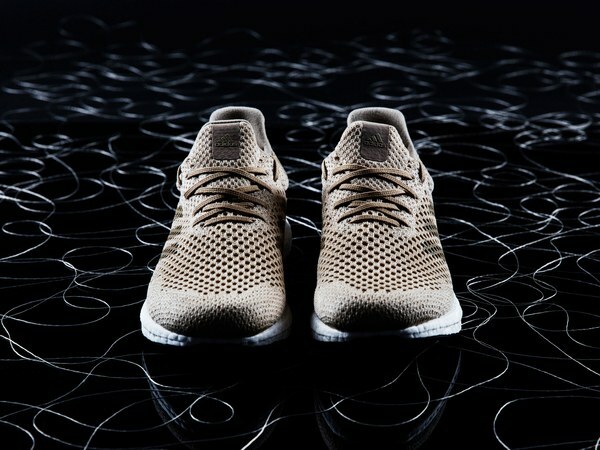 Late last year they presented a biofabricated sneaker made from spider silk, at the Biofabricate conference in New York. 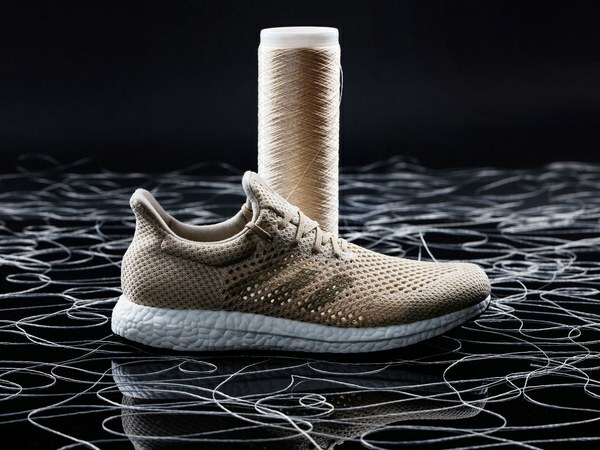 The shoe was made in collaboration with German company Amsilk, whose product Biosteel is made of synthetic spider silk proteins. The material is biodegradable which means this show could actually be composted, unlike most of the shoes that the company normally sells. And apparently it is both lighter and stronger than synthetic running shoes. Although just a prototype, Adidas hopes to put this shoe on the market by next year. Let’s hope! Är BioTech framtiden för FashionTech? Ja, kanske det! Jag blir i alla fall väldigt inspirerad när jag ser mig omkring och ser hur driftiga människor försöker framställa läder utan att kor dör (Modern Meadow) och spindelsilke utan att involvera spindlar (Spiber och Bolt Threads blanda andra). Här finns en riktigt spännande möjlighet att addera till pluskontot för både miljö, människor och djur. I ett angränsande område jobbar svenska Dedicated Institute som jag presenterade på Tech Loves Fashion i måndags. Tillsammans med Smart Textiles på Textilhögskolan i Borås och aktörer inom koldioxidavskiljning arbetar de på att framställa syntetiska textilfibrer av växthusgaser. Projektet pågår fram till september i år, så håll utkik efter detta. Mycket kring hållbarhet handlar av nödvändighet om att avstå, bromsa och backa. Det här har potential att bli något annat. Is Biotech the future of FashionTech? It just might be! At least I get very inspired when I look around to see all these driven people trying to create leather without cows dying (Modern Meadow) and spider silk without involving spiders (Spiber and Bolt Threads among others). Here’s a really exciting opportunity to add to the plus account for the environment as well as animals and people. In an adjacent field, there’s Swedish Dedicated Institute who was one of the three brands I presented on Tech Loves Fashion on Monday. Along with Smart Textiles at Borås Textile University and the carbon capture industry they’re trying to create synthetic textile fibres out of greenhouse gas. The project goes on until september, so keep an eye open for news. A lot surrounding the subject of sustainability is by necessity about abstaining, decelerating and reversing. This has the potential to be something different. Ah, spänningen! Webbtidningen The Memo lät ett gäng ledande figurer inom tech lista sina spådomar om 2016 här strax före jul. Och det regnade förstås spännande tankar om vad vi kommer att se framöver i vårt snabbt föränderliga samhälle, som till exempel en helt ny nivå av Virtual Reality-upplevelser och en hälsotech-boom till exempel. Själv fastande jag förstås mest för designern och Central Saint Martin-föreläsaren Amy Congdons tankar om bioteknologi som hon tror blir en stor grej inom mode under det kommande året. Hon nämnde bland annat det japanska företaget Spiber experimenterar med spindesilke. Tillsammans med klädmärket North Face lanserade de i höstas Moon Parka, en parka tillverkad av syntetiskt spindelsilkesprotein. Grejen med jackan (vars guldiga färg är spindelsilkets naturliga) är att bevisa att det faktiskt är möjligt att tillverka kläder med proteinet. (Bolt Threads som jag skrivit om tidigare har lyckats producera tyg men ännu inga faktiska plagg). Spindelsilket är nämligen mer slitstarkt än kevlar och mer elastiskt än till exempel bomull, vilket skulle vara väldigt attraktivt för märken som säljer fritidskläder. Parallellt laborerar även experimentverkstaden Modern Meadow med att odla fram olika material i laboratorium, som till exempel läder. Att kunna ta fram läder utan att djur behöver dö, skulle ju radikalt förändra hela branschen. – Med alla dessa framsteg börjar vi komma till en punkt där vi kan odla våra egna material och produkter, få in ny funktionalitet och på sikt jobba mot att minska de spår vi lämnar efter oss på miljön, säger hon. Ah, the excitement! Web mag The Memo let a bunch of tech leaders list their predictions for 2016 before Christmas. And of course it just rained fantastic thoughts about the upcoming year, like for instance whole new levels of Virtual Reality experiences and a boom of health tech applications. Personally I got most excited about designer and Central Saint Martins lecturer Amy Congdons thoughts about biotechnology which she thinks will make a mark in fashion during 2016. She mentioned for instance Japanese company Spiber who experiments with spider silk. 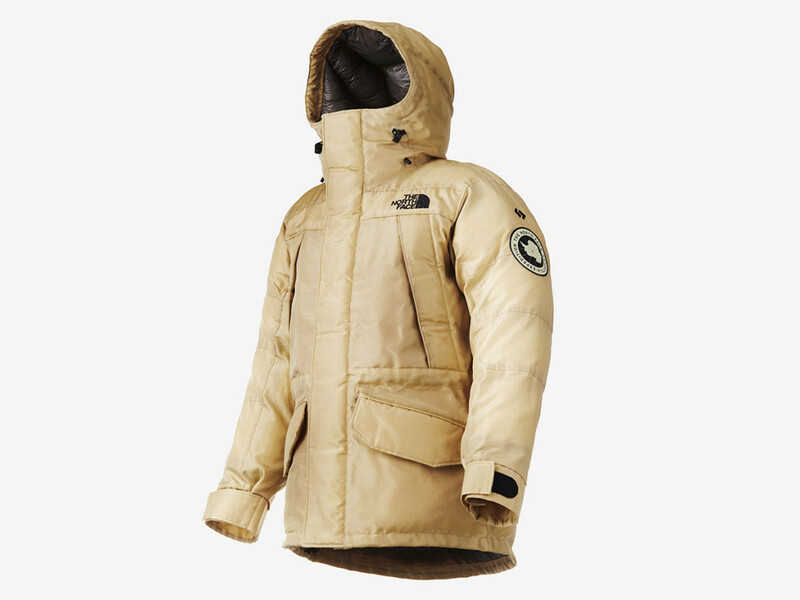 Along with North Face they launched the Moon Parka in October, a parka made out of synthetic spider silk. The thing about this jacket (whose golden hue is the natural colour of spider silk) is mainly to prove that it is actually possible to make clothing out of. (Bolt Threads that I’ve written about before have managed to make fabric made of spider silk, but not yet any clothing items). The spider silk is known to be more durable than kevlar and more elastic than cotton, which would be very attractive for outdoor brands. At the same time, experimental work shop/research company Modern Meadow is growing different materials in laboratories, for instance and leather. Being able to grow actual leather without having to kill any animals would just radically change the whole business. A fashion designer & lecturer at London’s Central Saint Martins. 2016 Predictions: 10 tech leaders told us how our homes, clothes, and cultural life will change next year. Our world is rapidly changing in dramatic and unexpected ways. With 2016 rapidly approaching we’re doing our own bit of future-gazing (see The Memo’s predictions), but we’re also looking at the worlds of business, finance and culture, and how these will all soon change and evolve. For this piece, we asked 10 key culture influencers how they thought life would be different next year. Some are founders or top executives at virtual reality, fashion, or publishing companies. 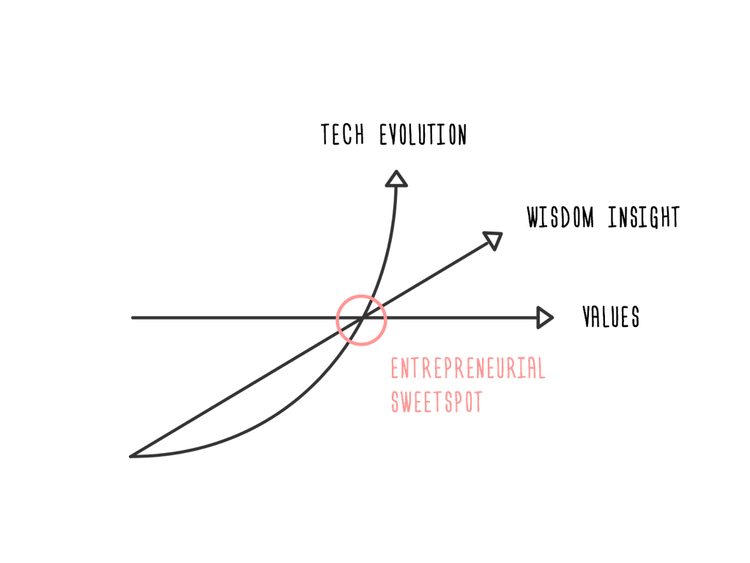 Others are digital leaders whose businesses simply change the way we eat, work, date or live. The next giant leap in manufacturing begins in the realm of outdoor apparel. Together with The North Face, we will create the first-ever clothing line that combines science and fashion, opening the door to limitless possibilities for the future. The North Face’s Antarctica Parka is an outerwear jacket designed to endure the harsh conditions and intense cold of the South Pole, which the Moon Parka is designed to match. The QMONOS outer material is the natural web color of the Golden Orb spider, and the almost unearthly glow inspired us to dub the color ”Moon Gold.” The embroidered logos are also made from a black QMONOS. During the prototyping process, we chose the protein types in our library that are best suited to crafting the outer material and embroidery thread. We then conducted extensive trials in order to find the perfect threads for the spinning, twisting, weaving, and sewing processes. Moon Parka is the world’s first piece of clothing made from synthetic protein material, and the prototyping process gave us great insight into the challenges that we still face on the road to mass production. Now that we understand them, all that remains is to solve them. The countdown to practical application for synthetic protein materials has begun.